I cannot remember being this excited — actually — to talk about a comic as much as SONIC THE HEDGEHOG #13. This is for personal reasons (as a fan) but also for the progression of the series in general. So without any further ado, let’s take a look at what happened. 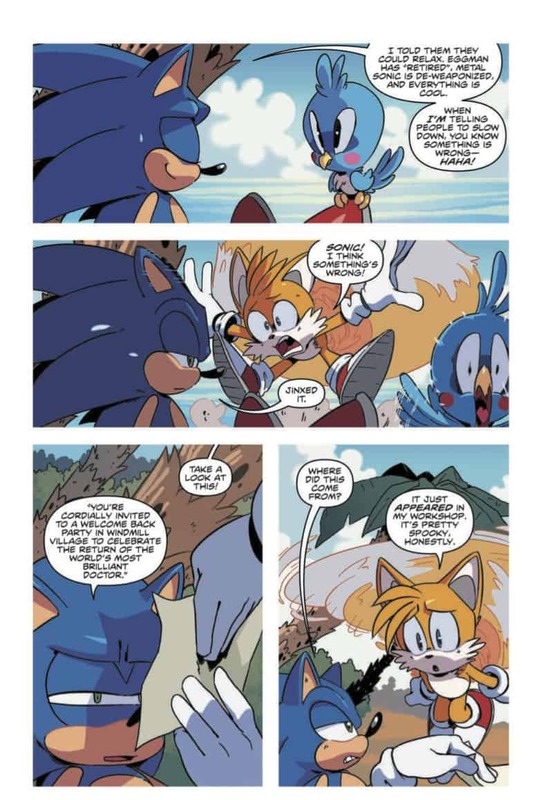 SONIC THE HEDGEHOG #13 occurs right when the heroes declare victory. For one, they just defeated Metal Sonic, even in his souped-up super form, and for two, Eggman is no more. This is because, as far as the heroes are concerned, Eggman lost his memory and is now Mr. Tinker. But what we, the audience know, is that that is not true. Thanks to Dr. Starline — whose motivations are still unknown — Eggman is back. And last we saw him, he was standing and laughing in front of a projection of a bacteriophage — a virus. Even if you don’t know biology, that’s pretty darn ominous. It gets even worse when Sonic and Tails oblige an invitation they receive from the restored evil genius and head into danger regardless. And danger they do face, in the form of an ambush from a certain duo, but it is not nearly as great as the threat they don’t see. Sonic and Tails weigh the risk of responding to the invitation. Image courtesy of IDW Publishing. 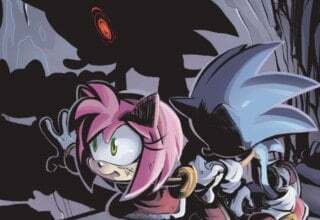 What happens in SONIC THE HEDGEHOG #13 is a textbook case of dramatic irony, when the audience knows something awful that the heroes absolutely don’t. And what’s great is that Ian Flynn doesn’t stop here. He ratchets up the tension by cross-cutting Sonic and Tail’s ambush (by a certain duo) with Eggman’s virus research. With an approach that’s terrifying in its meticulous pace, we see, systematically, the threat Sonic and company will face. And that, to me, is very exciting. Eggman and Dr. Starline get ready to do science! 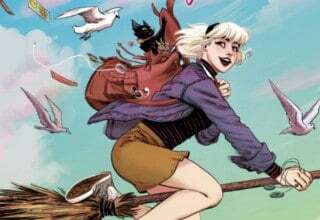 Image courtesy of IDW Publishing. 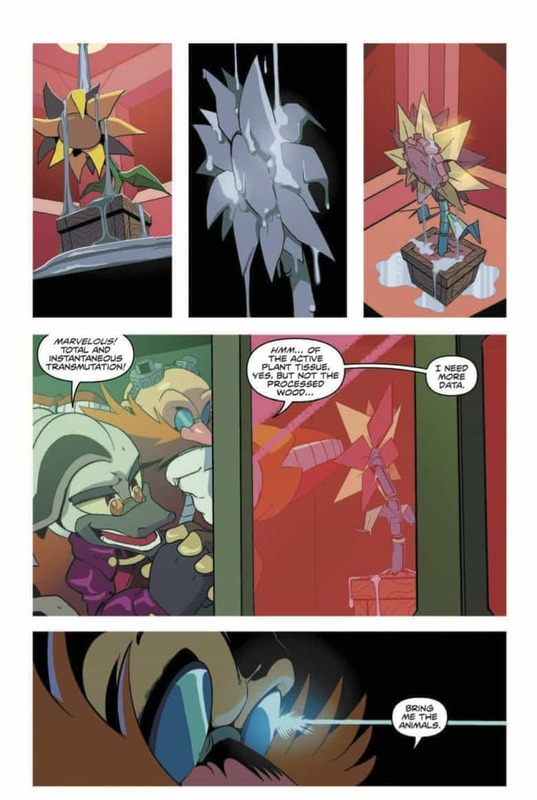 Adam Bryce Thomas returns to SONIC THE HEDGEHOG #13 and delivers a compelling job. Of all the artists who have worked on the IDW SONIC thus far, his art tends to be the most detailed. Although this works great for wide vistas — or any time Metal Sonic appears — this story didn’t showcase his talent for that as well. 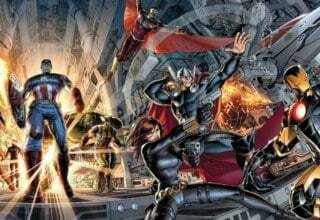 For one, the issue has a lot of cartoon violence. In one panel, Rough the Skunk gets hit so hard his eyes bulge out. Although that wouldn’t look so weird rendered as a cartoon, it looks oddly realistic in Thomas’ hands — and that was a little jarring. Most of the action is in tight character shots, meaning that Thomas doesn’t get to stretch on the page, which comes as a detriment to his style. In this issue, Thomas’ most compelling close-ups come from emotion — not necessarily combat. Image courtesy of IDW Publishing. Yet where he does excel is in Eggman’s research scenes. 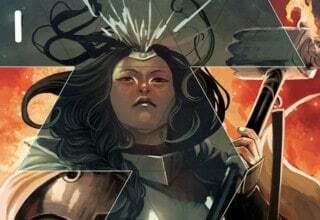 I don’t want to say too much, but the power of these sequences rests on emotional connection. 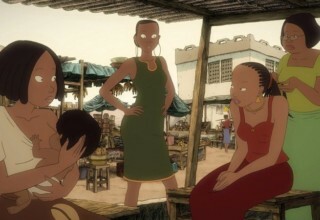 Thomas establishes that with the art, and it’s something that has to be experienced rather than described. Do yourself a favor and check it out. 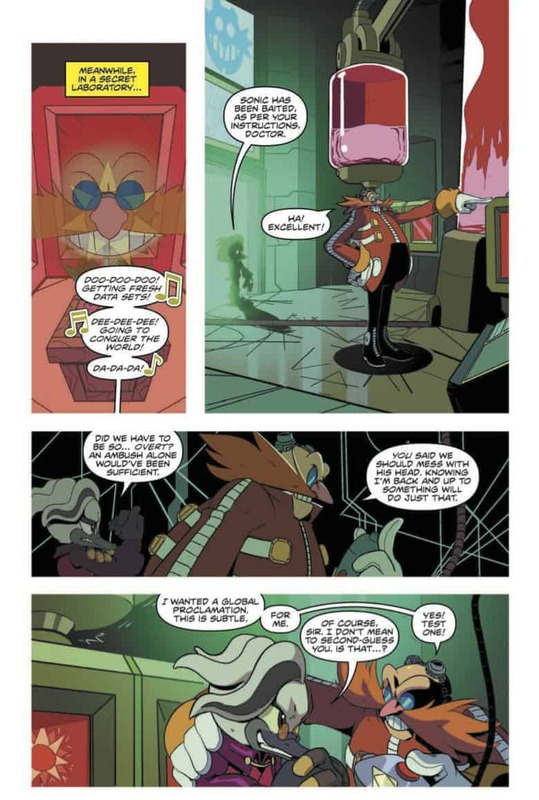 All I will say is that Eggman shows his true colors, and it’s painful to see the implications of that in SONIC THE HEDGEHOG #13. Dr. Eggman begins his research. 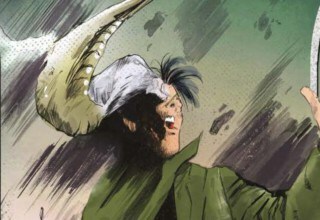 Image courtesy of IDW Publishing. The evil Eggman is back, and we get to see how the genius part of that equation works. 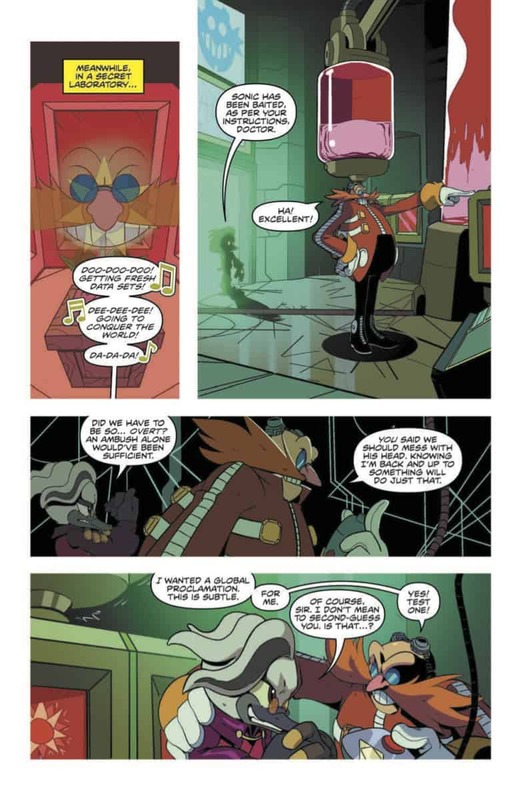 That may be what’s most disturbing about Eggman as a villain — that he is rational. And that’s why I don’t think Dr. Starline, who still doesn’t reveal much during this comic, fully knows what he’s done. 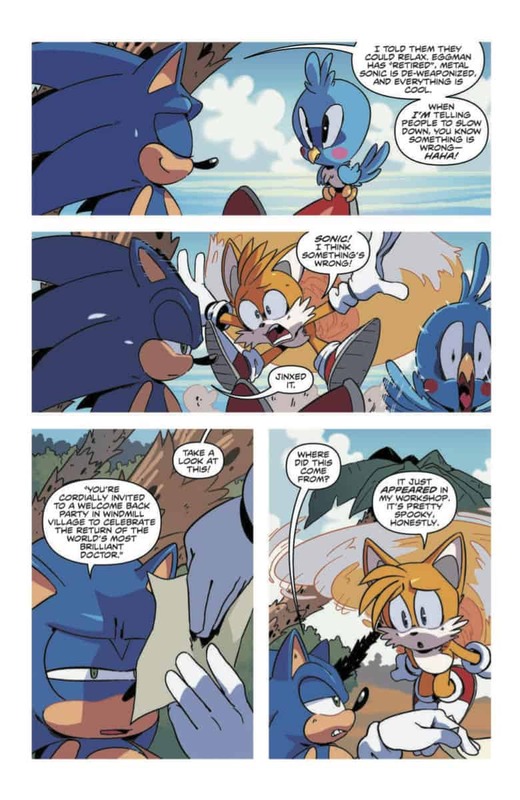 As for the other characters, Sonic and Tails remain heroic, although Tails seems a little less calm in this issue than before. Tumble the Skunk surprised me with an odd moment of pathos at the end of the fight. Granted, they’re still goofy villains, but they’re somewhat sympathetic in their simplicity. 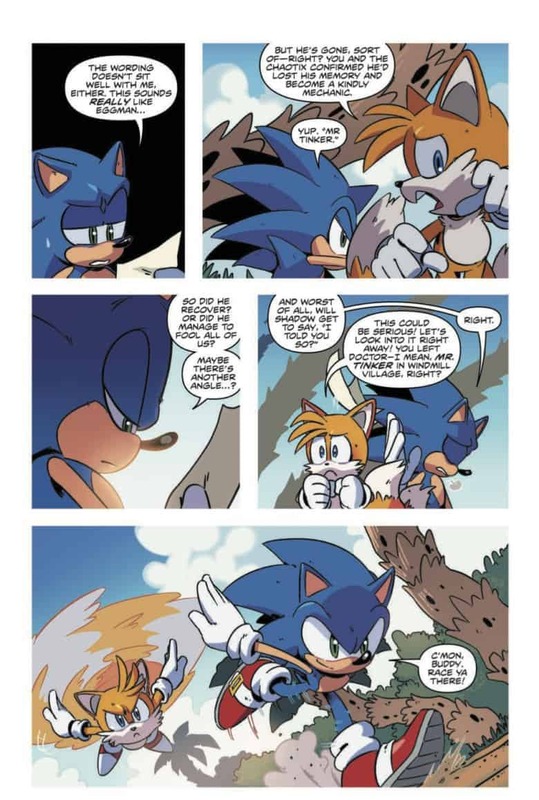 That level of nuance requires the script and the art to work hand-in-hand, and in SONIC THE HEDGEHOG #13, that is the case. The most compelling part of the issue to me is Eggman’s arc. Sonic and Tails getting themselves into trouble — Rough and Tumble stepping in to fight them — all of that was inevitable. Yet seeing Eggman test out his new weapon was a pleasant surprise. From SONIC THE HEDGEHOG #100, courtesy of Archie Comics. Without going into the context, Dr. Robotnik murders someone in cold blood to test his latest technology — with a laugh. 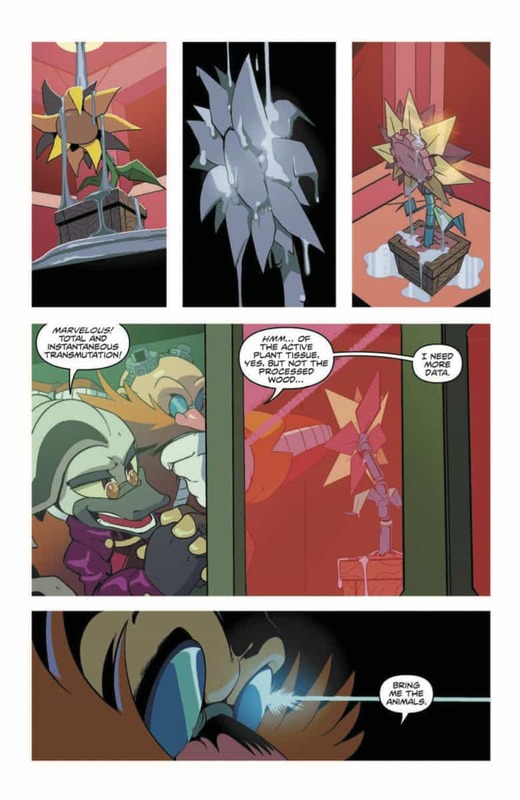 And although I prefer the way that this malevolence is portrayed in the comic under review, it marks an important aspect of Robotnik’s character that I’m glad remains in the latest series. 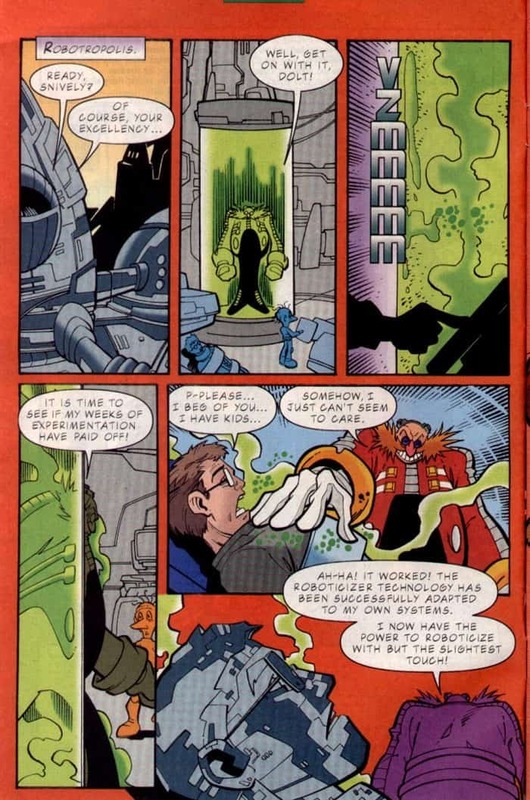 And that is that — unlike the video games, which portray Eggman as a somewhat bumbling villain, too smart for his own good — Eggman really is evil. Thus, there’s a level of integrity to his character that I appreciate Ian Flynn maintaining in this latest series. 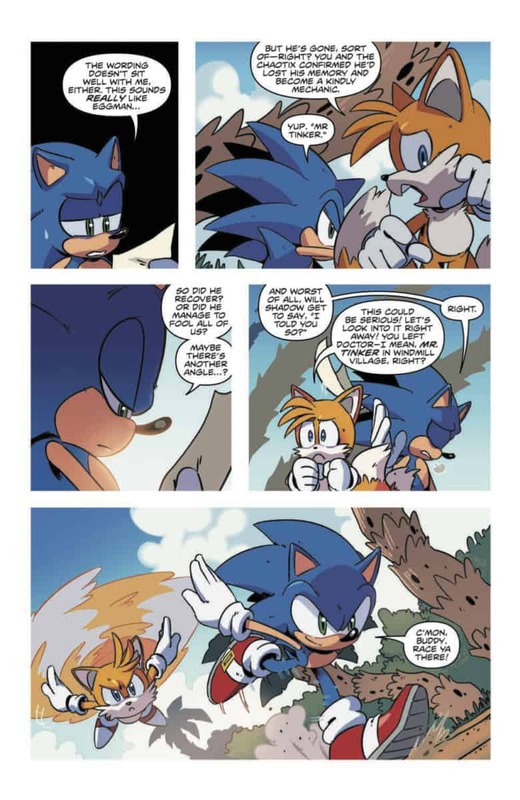 There’s a saying at Marvel comics (I’m told) that a hero is only as good as his or her villain, and I’m happy to say that for IDW Sonic, SONIC THE HEDGEHOG #13 establishes this tenet of good storytelling. 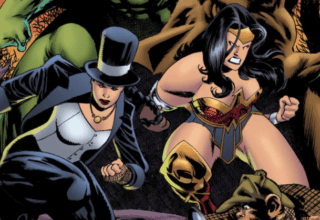 And for now, knowing this, next month’s issue can’t come soon enough. SONIC THE HEDGEHOG #13 by Ian Flynn (Script), Adam Bryce Thomas (Art), Matt Herms (Colors), and Shawn Lee (Lettering). 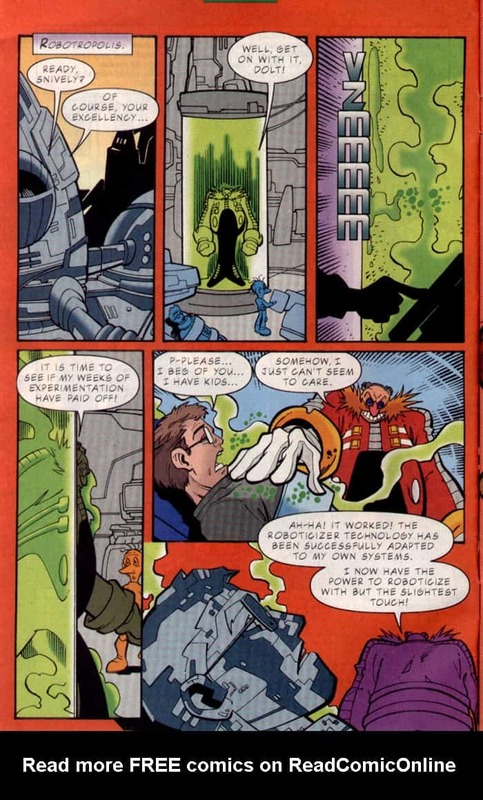 SONIC THE HEDGEHOG #13 is all about Dr. Eggman, in my mind. His calculated experimentation is perfectly cross-cut with a standard procedural plot for Sonic and Tails to heighten the threat and dramatic irony Ian Flynn planted into the script. 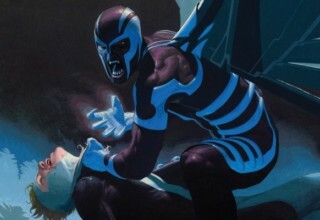 Adam Bryce Thomas conveys this emotion beautifully, but unfortunately, the fighting scenes don’t portray his talent as well as other issues have in the series. Nevertheless, it was a compelling tale that I’ll be talking about for a while. Eggman is back!